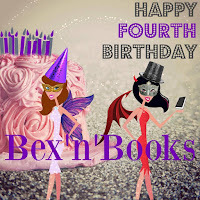 For the past 4 years, we’ve been hard at work supporting so many wonderful authors, connecting with like-minded readers, and having a blast along the way. This year to celebrate, we’ve organised, with the support of over 40 authors, to have available 60 FREE books, PLUS we have a HUGE rafflecopter giveaway below, PLUS a MASSIVE e-book giveaway on our Facebook page. Take advantage of these amazing gifts from some of your favourite authors, and please be sure to pay it forward by leaving an honest Amazon review once you have finished. It’s one of the best ways to say thank you! Also, stop by our Facebook page to enter our e-book giveaway pinned at the top of the page. Thank you, everyone, who has offered their support over the past 4 years!